What does a portrait say? This simple question inspired a project that goes beyond physical traits and into the interior world of a human being. As the human face is distinguished physically from one individual to another, Sergio Albiac wanted us to see this face through the experiences of the subject shaping the portrait. Behind our distinct portrait, there is a sea of thoughts, memories, and emotions that have shaped who we are, internally. A portrait can tell you something about the individual but doesn’t really show you who they are. Sergio Albiac continues to dig deeper into the richness of technology and art and begins to paint a Videorative portrait (a generative, narrative and interactive video portrait) through a compilation of personal videos of the person portrayed, tagged by him/her with relevant concepts and descriptions. The Barcelona based artist continues to push the boundaries on how technology can be used to not only create but also inform on art. In order to paint the portrait, Sergio developed a custom tool that ''paints with meanings'' rather than color with a brush. 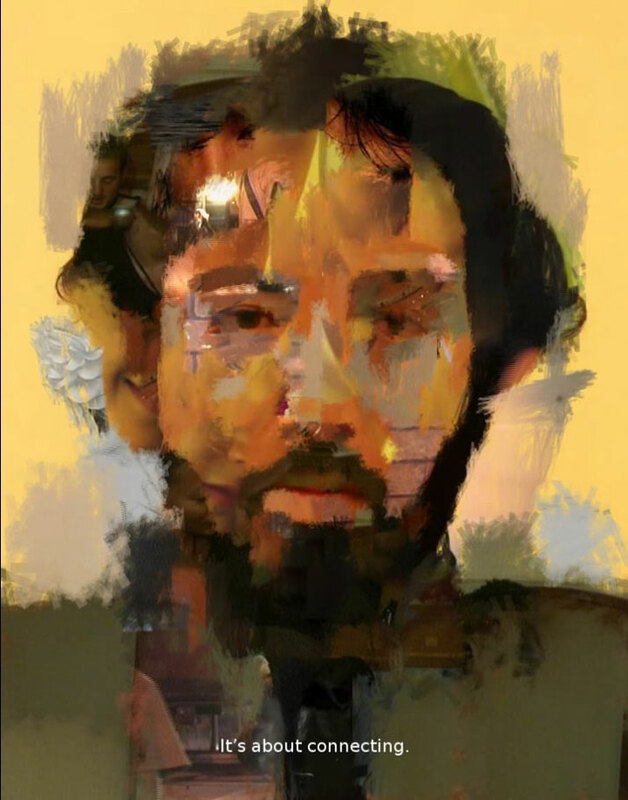 This painting begins to generate a video portrait, subtitled with generative personal narratives. 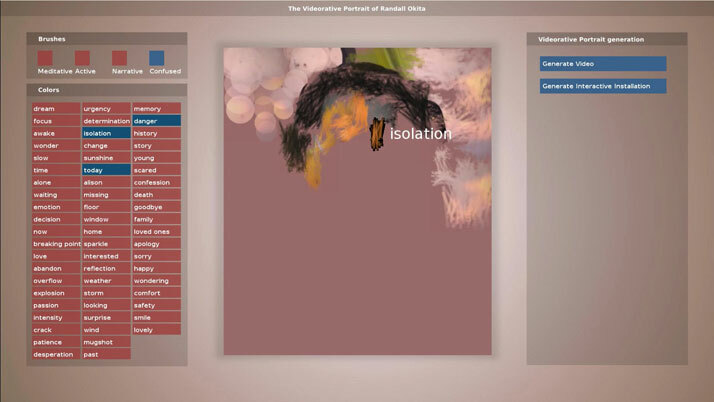 In the work’s interactive installation version, the viewer can "navigate" through the subject's mind, opening his/her video memories, accessing their thoughts and revealing hidden connections between the meanings, using online access to Wikipedia to infer related emotional states. 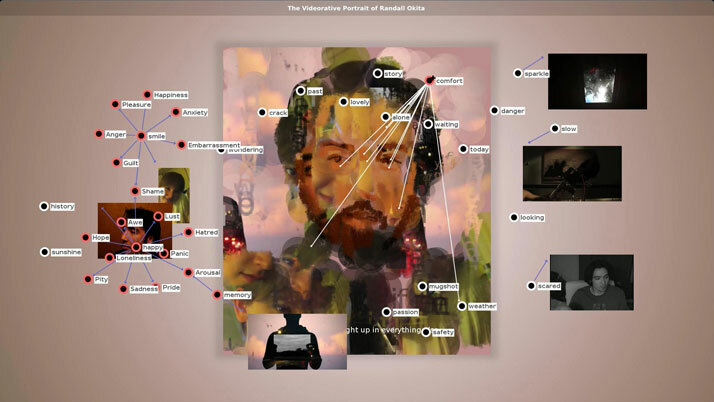 This "data visualization" creates new and unexpected interpretations of the portrait and allows the viewer to dig deeper into the soul and memories of the portrait. The portrait is always transforming as the subject portrayed can add more videos, tags and descriptions to facilitate new experiences throughout the subject’s lifetime. The portrait therefore ends up being a lifelong documentary on the subject’s physical and psychological states. The Videorative example is of filmmaker Randall Okita. The question is whether you would expose yourself for the sake of art and have people see you through your lifelong experiences?